With proper oral hygiene and regular dental checkups, your teeth can last a lifetime. A Stable Solution that Renews Your Smile If you’ve lost teeth due to accident, injury, or gum disease, we can create a permanent fixed bridge to restore your solid smile. A bridge not only fills the gap, but it also prevents repositioning of remaining teeth. It can also correct a misaligned bite, improve chewing function and speech articulation, and provide internal structure for the face to give you a more youthful appearance. The style of bridge we suggest will depend upon the strength and health of the abutment teeth, as well as the location of the gap in relation to the rest of your dentition. If healthy adjacent abutment teeth aren’t available, a surgically-implanted metal post, known as a dental implant, may offer a solid alternative. For a bridge that replaces many teeth, we may recommend a removable partial denture or implant-supported prosthesis. The dentist may recommend a crown to cover and protect a tooth when it has had a root canal, a large filling, or breakage. Crowns can also improve the color of a tooth, change the shape of a tooth, or cover a dental implant. We use precious metal, porcelain pressed (or fused) to metal, or all-porcelain crowns. Porcelain fused to metal crowns are generally used for strength on back teeth and all-porcelain crowns are generally used on front teeth for their aesthetic and translucent properties. Until fairly recently, bridgework, partial dentures, and full dentures were the only options available to replace missing teeth. Recent advances in medical science have given us a more efficient, comfortable, and aesthetic alternative- dental implants. With dental implants, our dentists can restore your smile and help you regain your confidence. Some people are unable to adjust to wearing partials or dentures and want a more stable solution. A permanent bridge is not ideal in every case, either. In order to construct a bridge, the permanent teeth on either side of the missing tooth (or teeth) need to be prepared for crowns. If those teeth are healthy, you may not want to have them reduced. Dental implants are permanently fixed, and they don’t rely on surrounding teeth for support. Placing dental implants is a fairly straightforward surgical procedure performed by an oral surgeon. The oral surgeon places the small, titanium post (s) into the jawbone. Titanium is biocompatible, which means that, over time, the bone will fuse around the implant post. After the healing period, one of our dentists can place a crown, bridgework, precision attachment, or retaining bar onto the post(s). Retaining bars and precision attachments are used with dental implants to secure a partial or full denture. Dental implants are the perfect solution for patients who are healthy, have adequate bone density, and have good oral hygiene. Dentures are a worthwhile investment in your health and appearance. Here are a few helpful tips that will prevent you from needing denture repair. Clean your dentures every day with a dentist-approved denture cleanser. Use room temperature water when washing your dentures. Handle your dentures over a sink full of water or a towel. This way, if you accidently drop them, they’ll be less likely to break. Soak the dentures overnight in a cleansing solution. If you do have an accident, you should come see us as soon as possible. Our on-site laboratories allow us to perform many denture repairs at our office in just one day. Never attempt home denture repair with over-the-counter glues or kits. Glues contain harmful chemicals that could be hazardous to your health and you could end up doing more damage if you attempt at-home denture repair. If you’re embarrassed about your smile because of decay or dark fillings in your teeth, you may be a good candidate for composite resins. A silicon dioxide-filled, tooth-colored plastic mixture, composite resins can restore teeth to an attractive, healthy state. Composite resins represent several advantages over traditional silver or amalgam fillings. Because composite resins are not made of metal, we can blend and mix shades to find the perfect color to match your natural teeth. This means only you and your dentist will know you have fillings. Another pro is that the tooth/composite bond actually supports the remaining tooth structure, deterring breakage and insulating against temperature changes. 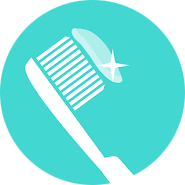 Medium and small composites can last seven to ten years – that’s as long as the tried and true amalgams. Best of all, composite resins allow us to keep more of your natural tooth structure intact than amalgams. We believe in conservative dentistry – the more natural tooth structure you keep, the better teeth you’ll likely have in the future. Endodontic treatment is commonly referred to as root canal treatment. A root canal involves removing diseased tooth pulp from the inside of the tooth. This procedure may be necessary if the nerve has been damaged due to trauma, deep decay or a deep filling. 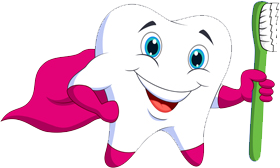 After the dentist removes the infected pulp, he will clean out the root canals and fill the tooth to prevent infection. 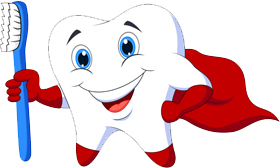 Depending on the extent of the damage, the dentist may recommend covering the tooth with a custom crown. The crown will strengthen the root canal tooth and protect it from future breakage. Root canal treatment can provide relief from toothaches and save your tooth from extraction.